Free Leggings on Instagram, 20 Pairs Everyday! 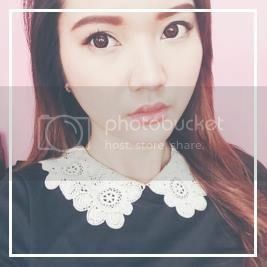 | misskatv.com: Free Leggings on Instagram, 20 Pairs Everyday! Free Leggings on Instagram, 20 Pairs Everyday! Can’t wait to share my excited and crazy looks with you!!! 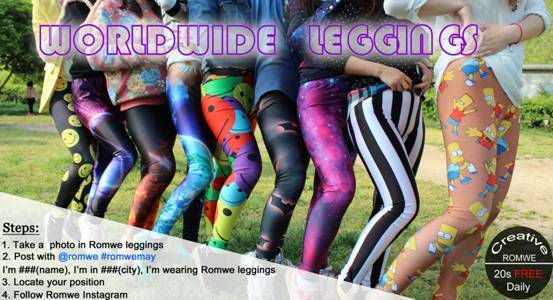 Last days, my colleagues and I (a group of lovely and fashion girls) went out in Romwe leggings. Wow, we caught all the eyes of the passersby, haha! 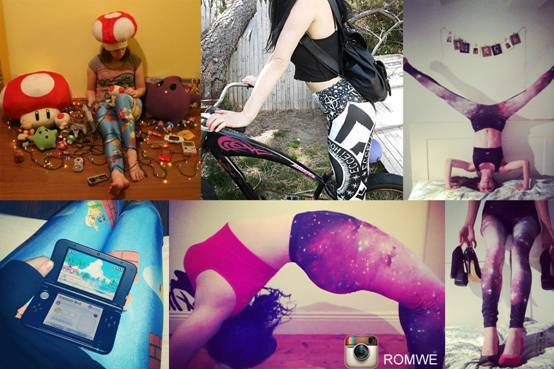 We also encourage our fans to take clear & creative photos, to share with people the beautiful moment of life in Romwe leggings in a better way, like doing sports, playing with animals, having food, traveling, etc.